Hackathons have been the bastion of engineers for so long! Considered an event that’s right up their alley; engineers and developers have practically staked their claim to it. 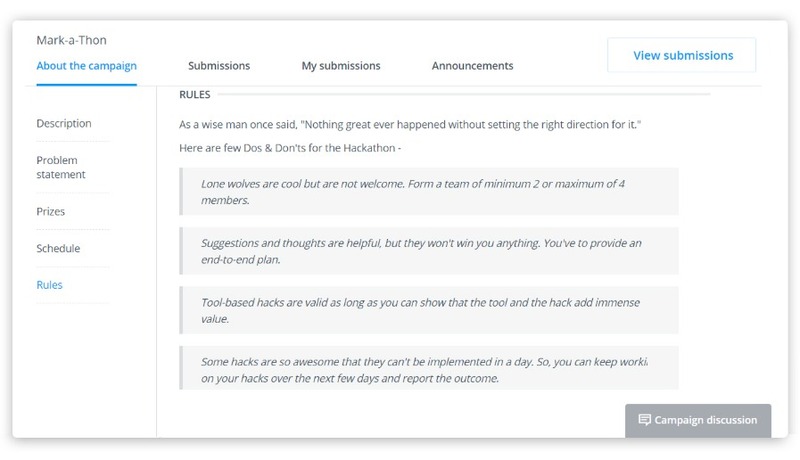 Having witnessed countless successful hackathons for almost 3 years since I work for HackerEarth which offers hackathon software for organizations, I had a strong feeling that the format would work wonders for marketers as well. The reason was the structure of the format which allowed participants to solve pressing issues and churn out new ideas to achieve the objectives… both non-negotiable for any marketing function to succeed. In my mind I had clear objectives to create impact for the business, but in the same breath I was slightly unsure because I had never tried the format at first hand. 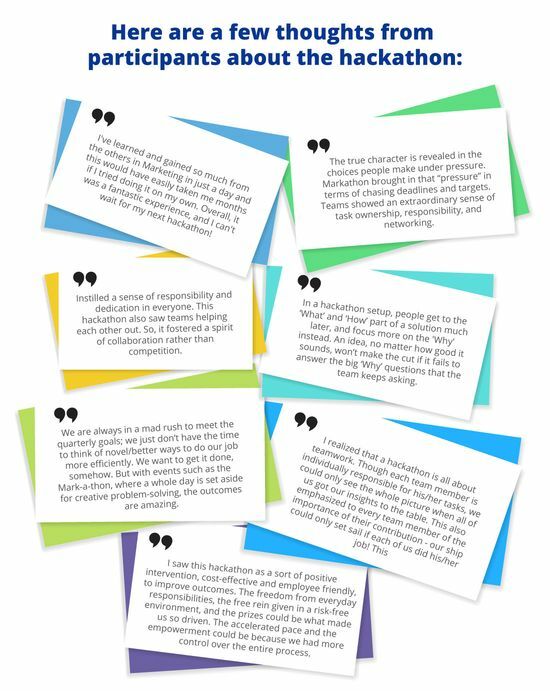 So here I am, having concluded a hackathon with a team of 25 marketers at HackerEarth, ready to share an honest case with all growth hackers and marketers to determine if hackathons are worthy a tool to explore and what problems they can really solve with it. I will also discuss my learnings, mistakes, dos & don’ts, and, above all, insights on how and when hackathons can become valuable ammunition for marketers. 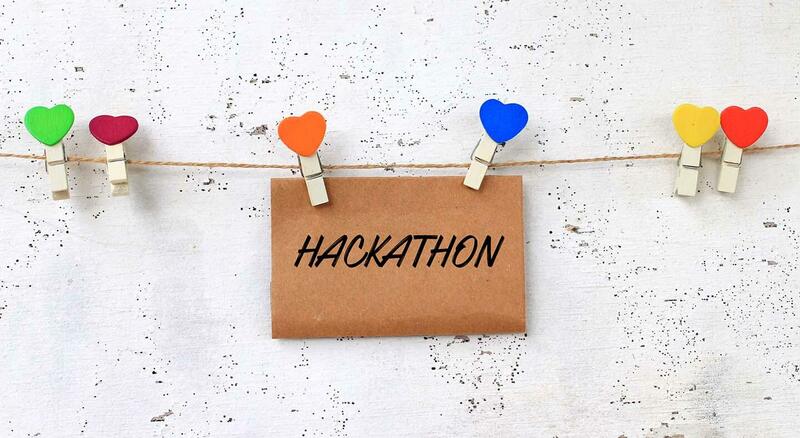 Simply put, a “hack” & a “thon” is what makes a hackathon. While we understand the term hack; a “thon” means an event or a contest with an objective of reaching a goal within an unspecified duration. 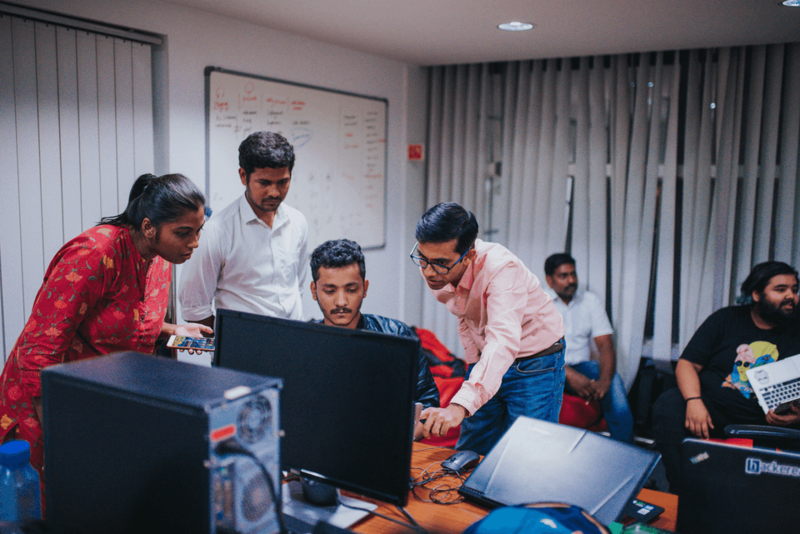 Above all, the short duration of the hackathon breeds urgency, a single-minded focus, and involvement which leads to “try fast and fail” approach and brings out the true hustler within us. All this eventually leads to “intense learning” in a short time span, which is rewarding and immensely satisfying for participants. Another point about the word “thon” may need clarity. While hackathon is run for a specific duration, say 24 to 48 hours, the definition of the term has “unspecified duration” bound to it. This is because the objective of a hackathon is to build something within a short duration. But more often that not, the hacks don’t get fully completed during the event and this incomplete hack (or call it WIP prototype) is attended to after the hackathon is over. So, in that sense, the duration is unspecified because the hacks get fully completed after the Hackathon gets over. The hackathon we conducted was a day-long event with 25 participants split into teams, all trying to create something unique to solve some of our unconquered marketing challenges. So, what was the outcome of the hackathon? 42 new ideas were generated during the hackathon out of which top 10 ideas were picked for implementation. Out of 10 hacks, 2 got deployed within one week, 3 more got deployed within 3 weeks. Flip side* – Not everything built on the hackathon day sees the light of day. Out of 10 hacks, 2 were not good enough to deploy, 1 hack was thematic and we were late to launch, and 2 more hacks required more bandwidth than we expected. So, we had to leave it incomplete to be picked up in future. We experimented with 15 new tools for different projects. The amount of learning and upskilling the team had in a single day was unparalleled. The teams attempted a few complex projects which had been in the backburner for over 6 months. Team collaboration was at its best. Team members from different sub-teams came together to solve problems together. “A good strategy is to know what not to do.” – Peter Drucker. The fact that two projects picked up in the hackathon gave us a sense of huge manpower requirement to get it done, led us to dropping them for now. In nutshell, we saw 3 tangible outcomes within 2 months of the hackathon. Judging criteria – The hackathon submissions should be judged on the quantum of work done during the Hackathon day. Essentially, this would mean that teams would not only have to share their plans/presentations but take the next step of developing their plan during the Hackathon day. This was a miss. The idea phase should have had cross-functional team participation. 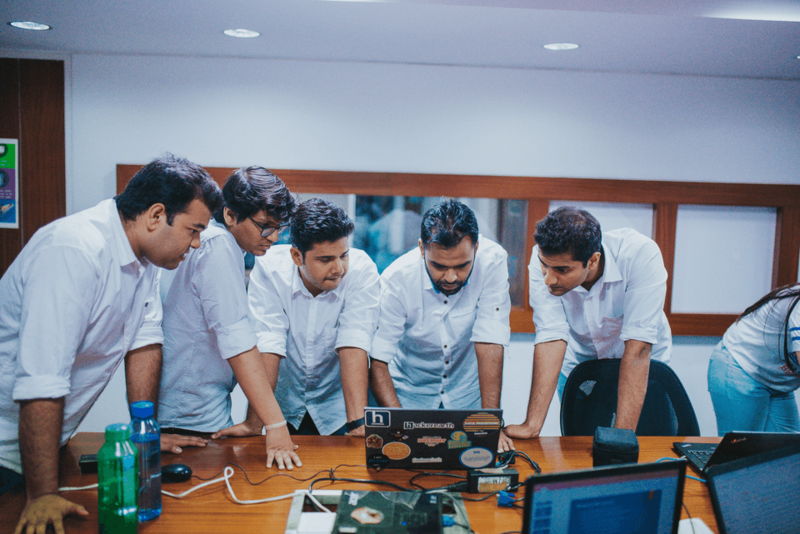 The realization came later when few sales and ops team members showed interest in sharing their ideas for the hackathon. 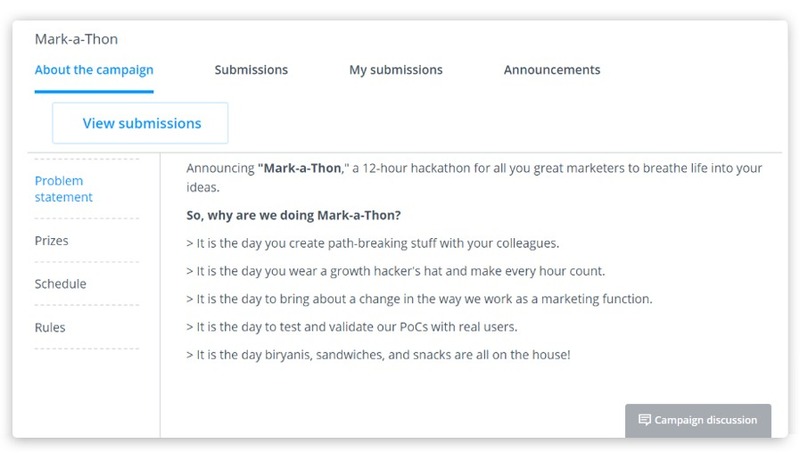 Can hackathons become a game-changer for marketing? There were many wins for my team. Here are a few positives and grey areas. Impact areas- Potential game-changing hacks can emerge from a hackathon. Identifying talent – Some of the best ideas in the hackathon came from unexpected corners. The hackathon can become an outlet for “otherwise not-so-visible” team members to express their creativity and competence. Tangible – You can measure the outcome of the hackathon. Employee retention – It is potentially one of the best employee retention formats and possibly the easiest to conduct. Time to launch – It does not take much to organize a hackathon. And if you are running it on a software, it might only take 2-3 hours to go live. Collaboration and learning – The speed, energy and enthusiasm is contagious. Inter-team collaboration and learning improved drastically. Can the team always come up with such interesting and novel ideas? How frequently should we run a hackathon for maximum impact? 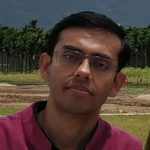 2-phase hackathon – An “idea phase” and a “submission phase”. Here is how we proceeded: An idea phase is to gather all the ideas around the above themes. These ideas are submitted by individual members, and they get evaluated at the end of idea phase, and only a few good ideas move to next round, which is the submission phase. A submission phase is where the hacks get built. The idea phase is to ensure only the best ideas move to the next round. During the idea phase( 2 days), participants submit their ideas against the themes above. The idea phase can end just before the hackathon starts. During this time, the members share their ideas. After the idea phase is over, the best ideas are shortlisted and the hacks are built only on the ideas shortlisted after the idea phase. Individuals can decide which team to join after checking the shortlisted ideas. We managed this process using our software which allows members to invite others and create teams. Team building – Before the hackathon starts, every team member should be part of a shortlisted idea. Duration – The hackathon was a 12-hour day-long campaign, starting at 8 a.m. and concluding at 8 p.m. Breakfast, lunch, snacks, and dinner was on the house! Judging – The submission of the hackathon was done by 8 p.m. After 8 p.m. judging started, which concluded by 10 p.m., and it was followed by the announcement of the winners. Each team got precisely 5 minutes to present their hacks to the judges . Announce the hackathon at least a week in advance. Build excitement around it (send mails to the team, discuss about it formally and informally). Write an introduction with a clear brief (screenshot of the software we used to manage the hackathon). The team should feel relaxed and positive about the whole campaign; you can ensure this by keeping the communication slightly casual and creative. Offer free food and snacks during the hackathon. Align your judges at least 1 week in advance. Define your judging rules. A good judging rule should not only measure tangibles like impact on business but also encourage creativity. Be prepared for a passive response from the team initially; it might take a day or two for the team to realize why they should be part of a hackathon; encourage people to share their ideas; talk to them; persuade them to fill their ideas; and once the ideas start to trickle in, the momentum builds on itself. Allow individuals to choose their team members and discuss their hacks. 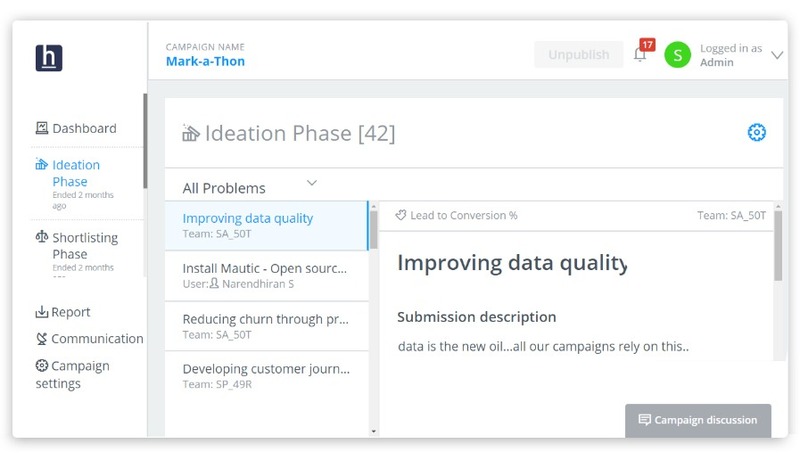 Keep your marketing budget handy for the hackathon; some of the hacks may require experiments with paid campaigns, outreach, and validation of hypotheses. Do you need software for hackathons? Your marketing team strength is more than 20. For less than 20 people, the campaign can be managed without software. The only issue could be maintaining a repository of all the ideas and submissions for future tracking and monitoring. Your team members work from multiple offices and geos. A team size of more than 20 and also working remotely, or from different locations, call for a hackathon software. You want to conduct recurring hackathons, at least once in six months. The need is to have cross-functional team participation and collaboration. With an internal team size of 25, the software helped me immensely in managing the entire process smoothly. It made life easy for the participants as well. They could find everything about the hackathon (rules, judging criteria, timings, team collaboration, prizes.) on the software itself, thereby reducing manual interventions. I recommend you go with specialized software when you are starting off or when you meet any of the criteria above. * I have used the words hack, prototype, projects as synonyms in the article. Marketing is an acquired taste for Sumit Singh. He loves growth hacking, and is an active learner and experimenter of the art. He has spent more than 15 years in the field of online and offline marketing. He is also a yoga enthusiast and passionate about the game of chess.